Just read the press release blurb from Arium about their upgraded support for UEFI on their ARM products. I've used Ariums for a long time on Intel platforms (have one at my house right now) and have used their UEFI support there in tracking down hard-to-reproduce problems on real platforms. SourcePoint isn't my favorite debugger front end, but it is serviceable. But UEFI's standardization, even in portions of the debug infrastructure, give Ariums a chance to provide higher level features. I look forward to trying one out. 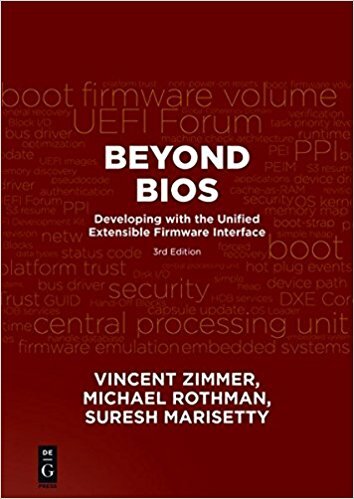 I co-wrote (with a few Intel folks, including Vincent Zimmer who also co-wrote our book) one of the articles in the Intel Technical Journal ("UEFI Today: Bootstrapping the Continuum"). 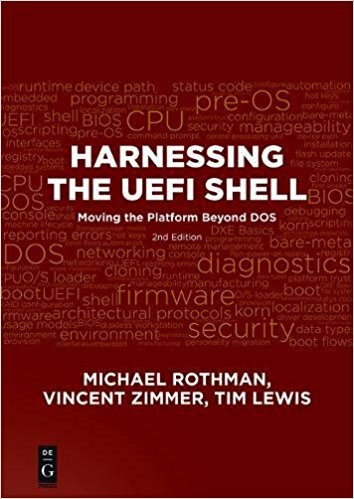 We wrote about how UEFI works to support silicon porting for firmware. My part starts on page 22, but the whole article is informative. My part details how we built up a full SMBus, ASF and DASH stack on top of the SMBus Host Controller protocol described in the PI Specification. Check it out and let me know what you think. The next UEFI Plugfest rolls around this month on the AMD campus in Sunnyvale, CA. If this is a typical event, and you have a Microsoft NDA, you might get a preview of the next Windows version. There is also usually a good version of Linux distros to test remote booting, including IPv6. It is free, but you must be at least a UEFI adopter to attend. Check out the registration info at www.uefi.org.